KINGS OF METAL: Scott Ian, Joey Belladonna, Jon Donais, Frankie Bello and Charlie Benante step outside the thrash zone on ‘For All Kings’ and come up with a winner. The album drops Feb. 26. 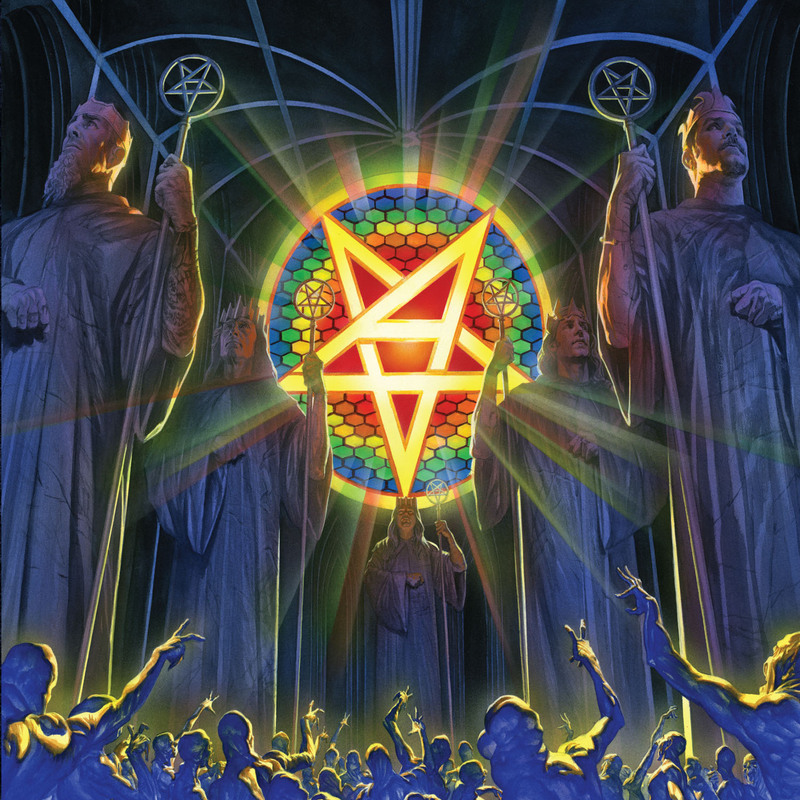 Adventurous in its vast melodic scope and high harmonies, “For All Kings” – the follow-up to 2011’s widely (and rightly) praised “Worship Music” – finds Anthrax reining in its thrash-metal tendencies rather than fueling them as a driving force. It’s not “LuLu” or “Slayer-Meets-Megadeth Unplugged,” but it’s beyond the core sound of Big 4 thrash and will certainly divide opinions. “Breathing Lightning” – arguably the most radio-friendly Anthrax song ever — soars over a bed of keyboards(!) reminiscent of Iron Maiden circa “Somewhere in Time/Seventh Son of a Seventh Son.” It’s a bold move, but ultimately irresistible as singer Joey Belladonna channels Bruce Dickinson (which he does through most of the album) while the band pilots the song’s bullet-train velocity. Brooding with menace, “Monster in the End” is the sound of a high-seas storm, while “Suzerain” alternates between chorale beauty and roiling, metallic churn. The title track is a galloping beast and “Defend Avenge” is a pit-ready stomper complete with barking gang vocals. At seven-plus minutes, “Blood Eagle Wings” is the album’s showpiece. Opening with a spidery guitar lick, the track builds into a towering piece of powerful music that crushes with majestic grandeur. Epic is an overused word, but here it applies. Fans who appreciated the musical growth of “Worship Music” will find plenty to like on “For All Kings.” While it’s undoubtedly well-played, heavy and memorable, the album leans more toward classic heavy metal (with hints of prog and power metal) than traditional full-bore thrash. That said, it’s hard to deny Anthrax the indulgence of artistic progression and repeated listens – especially when it’s still metal and done this well. If “For All Kings” is a challenge, consider it a challenge accepted. Sounds interesting Dave! I heard some stuff from the last album, sounded very good.. Classic Rock Magazine give the new album a 7/10 review..